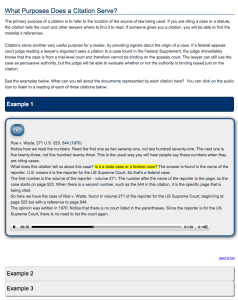 This code basically serves as a remote control to find a specific spot of a video or audio file when you click on different parts of the transcript. The code is used as an external trigger for the media player using <span> tags to scrub the playback to a specific timecode. 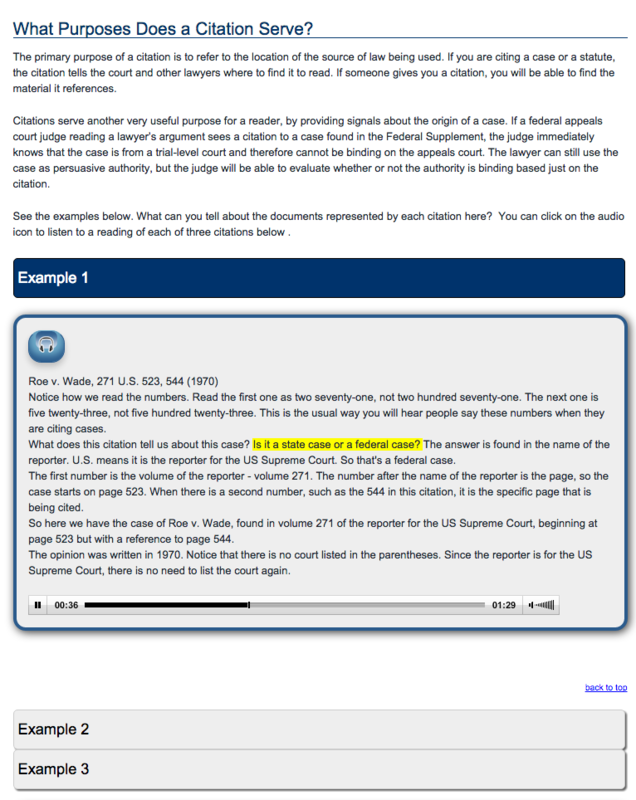 When the <span> tags are used to match up a text transcript to a audio/video presentation, it becomes a simple but powerful and effective tool that gives the user control over how they can consume the media. This provides a better experience for all users, but it especially helps screen readers parse content to make it more useful for visually impaired users. 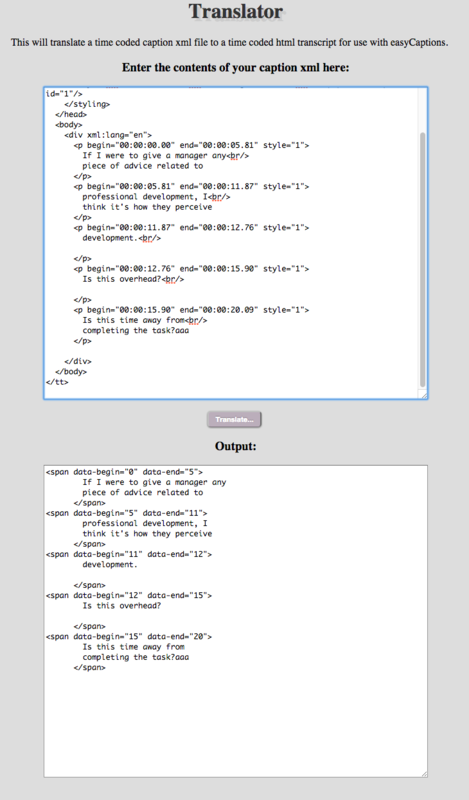 The clickable transcript code is useful, but does not adhere to captioning standards such as timecoded XML. 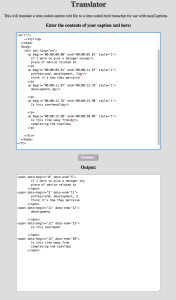 The following tool is a simple converter that takes timecoded XML as input and outputs html with embedded <span> tags with the needed attributes for use with my clickable transcript code above. This entry was posted in Projects, Research. Bookmark the permalink.